However, understanding how to keep a restaurant suppression system in good working order can be quite daunting for the inexperienced. These tips can help ensure a fire suppression system is up to code at all times. This may sound like a silly place to start, but many restaurant owners and management staff do not know anything about the kitchen suppression system that is currently in their commercial kitchen. Knowing what type of system and the age of the system is an essential first step to ensure that it is up to safety standards and code. If the building is older and/or has not been updated within the last two decades or so, it might have what is called a "dry" restaurant fire suppression system. These systems are primarily designed to work with animal-based fats and not the vegetable-based oils found in most restaurant kitchens today. This has rendered these systems practically ineffective. Dry systems have also been found to be highly ineffective when suppressing fires that start from grills and gas appliances, deep fryers that reach high temperatures, and many other modern appliances. In 1995, ULC 1254 (aka UL 300 in the US) was adopted as an industry standard for commercial suppression systems. What this statute states is that the preferred suppression system is considered a "wet" system, meaning simply that it helps prevent re-ignition of a fire once the system has been tripped. Compliant systems will have some sort of cutoff valve that will restrict the flow of fuel to certain types of appliances in the event of a fire, such as electric or natural gas. Contacting a professional is often the best way to determine what type of system a kitchen has. Often, dry systems and older wet systems that do not have this feature will need to be replaced in order to be up to code. Monthly: The restaurant owner or head of management should inspect the system for any signs of trouble. This includes making sure fan blades are cleaned all the way down to the metal and free of any grease and/or residue. Any pressure gages present should be checked to make sure they are in operable range. And any signs of wear or corrosion on the system should be immediately noted. 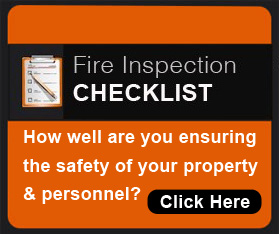 Quarterly: A quarterly inspection is generally the same as a monthly inspection. However, the person doing the inspection should take extra care to go over each listed maintenance requirement within the wet suppression system's owner manual. Semi-Annual: A qualified technician should inspect the system on a semi-annual (every six month) basis. These inspections often include examining the detector and all piping, cylinders, and tubing for any sign of a problem. A new inspection tag will also be hung at this appointment, helping restaurant regulators know that this mandatory type of inspection has been completed. Annual: In addition to the semi-annual duties, a qualified fire protection technician should inspect the system every few years to determine if the existing setup is in compliance with current code. 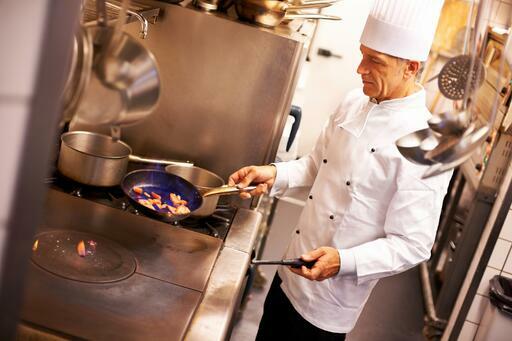 Do you know what type of fire suppression system is in your restaurant's kitchen?